Would you know what to do if your home was damaged? We receive a lot of questions about how home insurance claims work. What is your role in the process? How about the claims adjuster? How much will be reimbursed? How long will it take? And where does the deductible fit into all this? We’ll walk you through it. Each type of loss has its own claims process, but don’t worry! They all follow the same basic steps. Here they are! For a home insurance claim, it’s important to begin the claims process as soon as possible after a loss in order to be compensated as quickly as possible, in accordance with your policy. Notify your insurer or broker right away. Have your policy number in hand if possible. Describe the circumstances of the damage, explain what happened as best you can, give background information on the accident or event, and be as specific as possible. Limit the damage: It’s your responsibility to limit the damage or prevent it from getting worse. That doesn’t mean you should start making permanent repairs before talking to your insurer! But if you’ve suffered water damage, for example, and you can evacuate the water to prevent mold from developing, do so. Identify all the items that have been damaged or destroyed (furniture, appliances, etc.). Make a detailed list of all damaged or destroyed furniture or other property. Keep in mind that this is something the claims adjuster assigned to your claim will ask you to do. Remember to include proofs of purchase, such as receipts, warranties, instruction manuals, and packaging. You can even add photos and videos to your claim. Tip – Don’t wait for a claim to make an inventory of your property! Do it now and keep it current. It will make your life easier if you ever have to file a claim. You’ve done your job; now let the experts do theirs. The claims adjuster is assigned by your insurer and will guide you through the claims process. What exactly does a claims adjuster do? Investigate: They will investigate the circumstances related to the incident or event, determine if the claim is eligible in whole or in part, analyze the documents you have provided, and explain the procedure to you. Assess the damage: You have three options for each damaged item: repair, replace, or reimburse. If the item can be repaired, it will be. Otherwise, the insurer will replace it or will reimburse you for the value of the item as of the day of the incident, in accordance with your policy. Your damage settlement will correspond to the value of your items or their replacement cost, subject to the provisions and limitations of your policy. Policy limitations might include, for example, in the event of theft: coverage limits for jewellery, furs, manuscripts, stamps, coins, gold or silver objects, bicycles, audio and video media, video games, art and sports cards, works of art, and collections. For other types of incident, there might be limitations for boats, precious metals and banknotes, software, garden tractors, snowplows, securities, professional movable property, and wines and spirits. Home insurance claims are settled within 60 days of receipt of the relevant information and supporting documentation required by the insurer. Remember this simple equation: The amount paid out by your insurer = the amount eligible for compensation (depending on the damage and your policy specifics) - the deductible stated in your home insurance policy. The deductible is the amount you agree to pay in the event of a loss. It is stated in your policy. Home insurance deductibles generally range from $300 to $1,000. Your claim may also be subject to a waiver of the deductible, depending on the extent of your loss. We hope this post gives you some peace of mind. 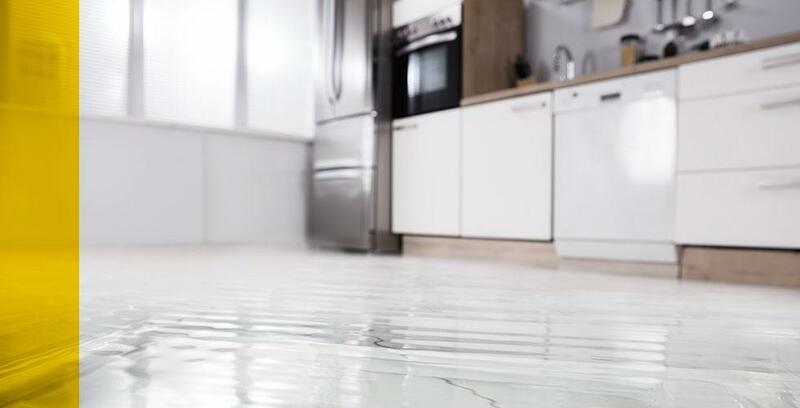 The thought of experiencing a loss incident and having to make a home insurance claim is never pleasant, but accidents can happen to anyone. Might as well be ready!